Marvel Is coming to The END! That’s right my fellow nerd boys and girls! I have had a theory from the very start when the Marvel Secret Wars teaser poster first began to appear on the Internet. For those that have not paid too much attention to what Marvel comics has been up to in the last few weeks (I don’t know how that is even possible) with all the teaser images along with Marvel’s Secret Wars and Battleworld promotion all over the Internet that has all comic fans eating up the hype like fat boys eat cake. It all started when the first major poster hit the Internet hinting to some sort of special event, we all thought was just going to be Marvel’s next yearly big storyline! Many comic fans were all a bit perplexed, happy or even annoyed at the thought of this whole new “Secret Wars” event advertised for 2015! Most long time comic fans know that Marvel has had two such Secret Wars events in its history (Secret Wars & Secret Wars II) that took place in the 1980’s pitting heroes and villains versus each other on another planet. Then just days after that we got another Marvel 2015 event teaser poster. For almost two weeks on each consecutive day we got a brand new teaser poster from Marvel revealing another 2015 event. The comic book world collectively was dumbfounded….as was I! What could it all mean? The only thing that seemed clear to me is that Marvel will be taking us on a time travel type ride which will revisit or maybe even change almost all of Marvel’s most epic stories. All the great storylines from Secret Wars, Age of Apocalypse, Hulks’ Future Imperfect, Old Man Logan, Civil War! But some storylines seem to have changed in these promo posters like Spider-Man Family and Infinity Gauntlet which have much different storylines hinted from the promo art alone. Some of the teaser posters have completely changed the original events entirely Plant Hulks, X-Men Years of Future Past and the most bizarre to me Age of Ultron vs. Marvel Zombies?! Then we get the glimpse into the future of Marvel and what I believe will be THE END of all that we have come to know as “The MARVEL Universe”!! When THIS teaser poster (below) was first revealed…..it all finally became perfectly clear to me what Marvels entire plan was to be! I will explain more on that in the next installment. It seems the head people at Marvel are only confirming my theory! “Secret Wars” #1 — Is on track to surpass 500K in sales — arrives in May. Tomorrow only here on popculthq.com! Ice Cube and Chris Tucker’s “Friday” will play in theaters on 4-20 for the classic movies 20th Anniversary! Official “Attack on Titan” movie trailer and character posters here! 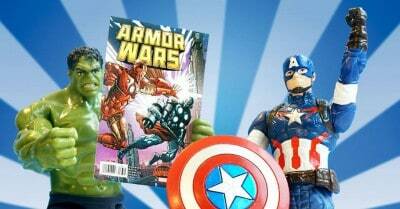 There Is An Exclusive Toys “R” Us “Secret Wars: Armor Wars, #1/2” Marvel Comic Book! Details Here! May 4, 2015 Manny Popoca Comic Book News, Comic Books, Pop Cult News, Spotlight, Toys Comments Off on There Is An Exclusive Toys “R” Us “Secret Wars: Armor Wars, #1/2” Marvel Comic Book! Details Here! 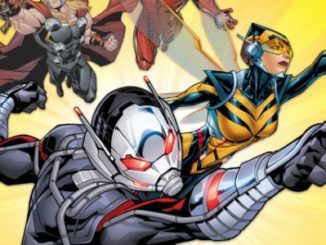 [Comic Book News] Death is Coming! 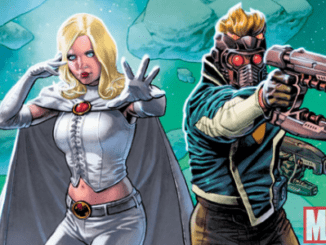 But Who Will Suffer Their Timely Demise in Marvel’s INFINITY WARS? May 31, 2018 Jason Bennett Comic Book News, Comic Books Comments Off on [Comic Book News] Death is Coming! But Who Will Suffer Their Timely Demise in Marvel’s INFINITY WARS?